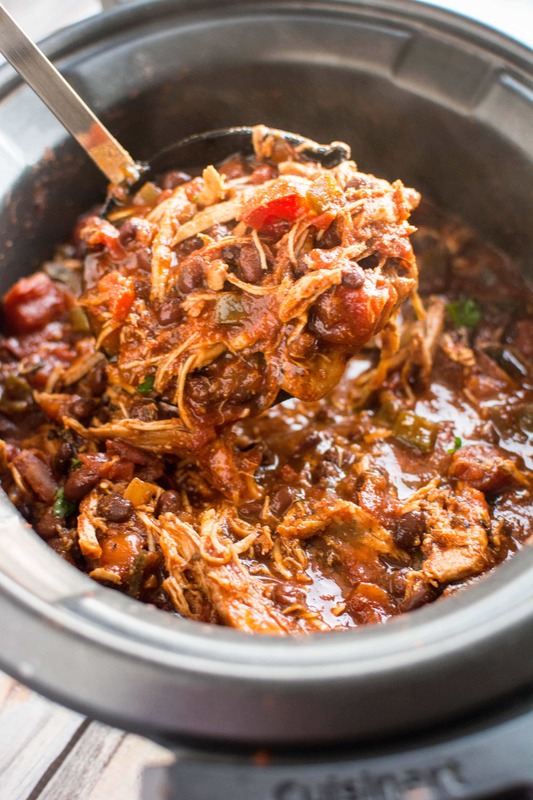 Have you hit chili overload yet? Not me! 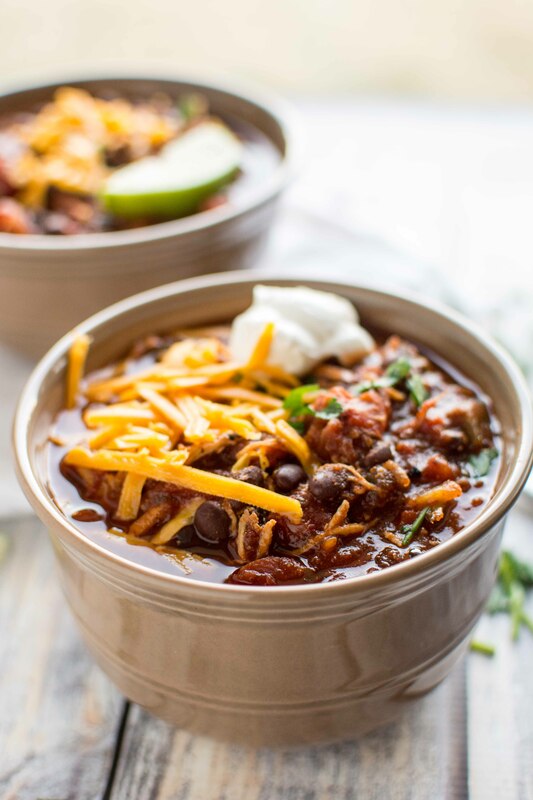 I may be super tired of the sub-zero temps and the bone-chilling wind but I continue to try to see the positive… and that’s eating more chili! I can really never get enough because there are just so many ways to make it. And every time I post a new one I tell you guys it’s my new favorite. I should probably stop saying that. Except not yet. Because this one is my new favorite. 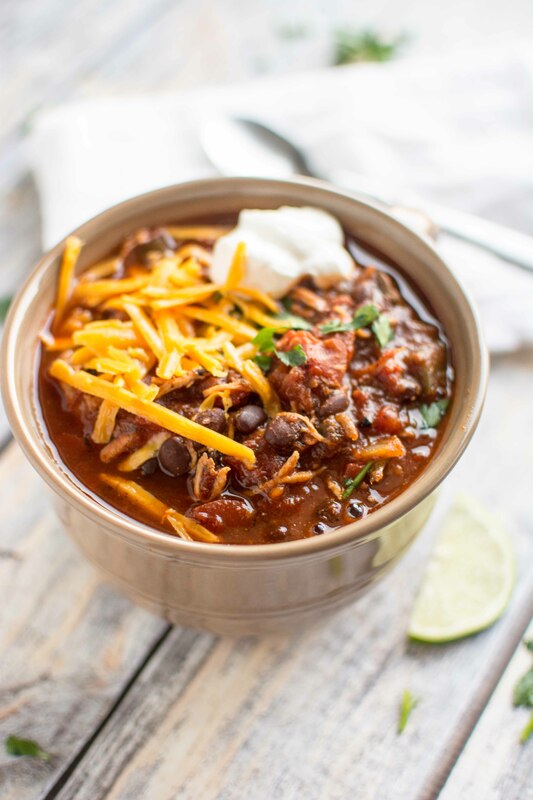 This chili contains one of my newest obsessions…ancho chili powder. Smokey and mild it gives kind of a Mexican flavor twist to keep things interesting. 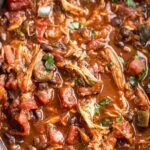 Chock full of jalapeno and poblano peppers as well as onions this chili has a super fresh taste! 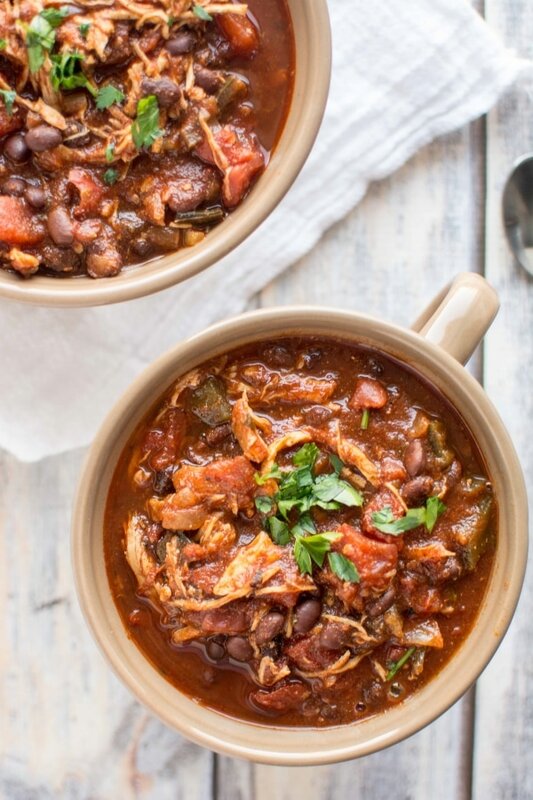 It’s also loaded with lots of juicy shredded chicken and protein packed black beans. Mmmmm! And the key flavor here that takes it to the next level? All the roasted tomato action! Fire roasted diced tomatoes on top of roasted tomato salsa = my new favorite must have flavor in everything! Oh! And how did I forget to mention this part?! 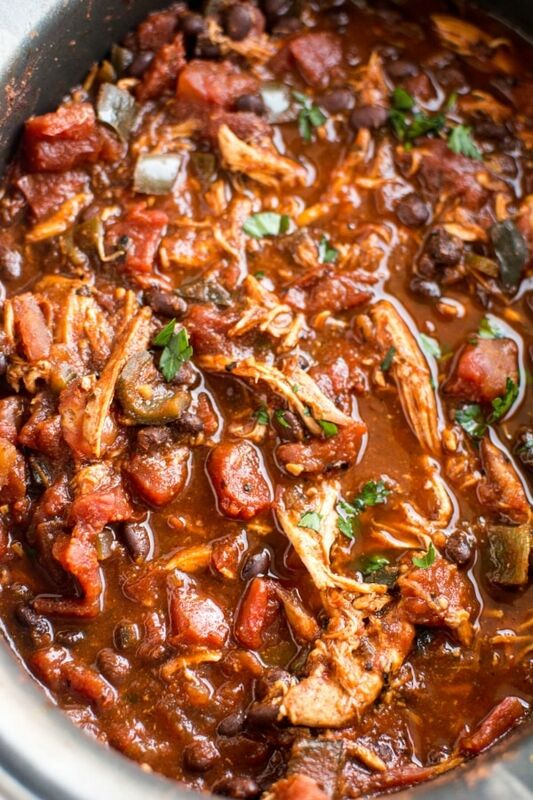 The secret trick that makes the chicken so super rich and flavorful tasting? We are going to brown it up in just a little butter before throwing it in the crock. Amazing and worth the effort. Totally promise. Still freezing where you are? 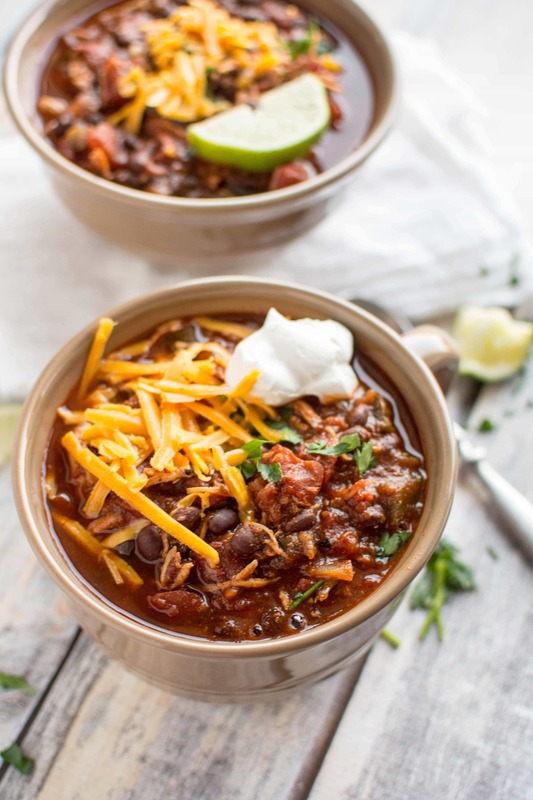 Go warm up with this chili. Quick!! 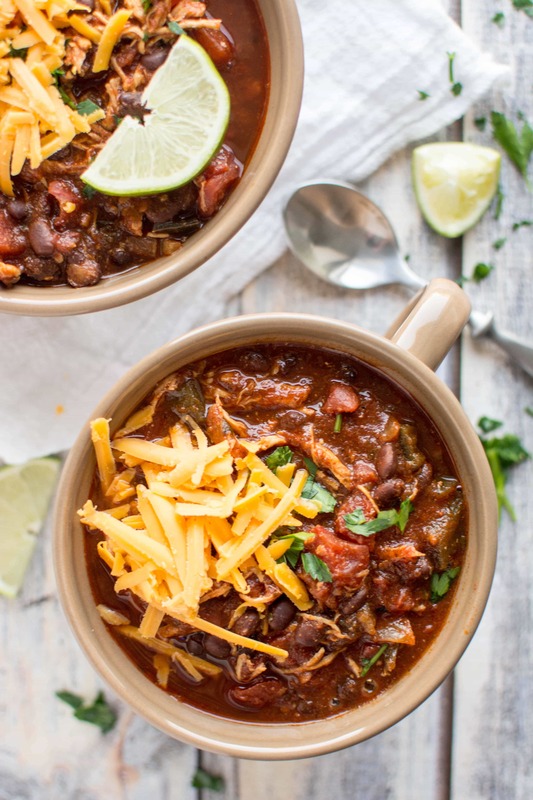 This chili looks so flavorful and delicious! I feel like I can almost taste it just by looking at the pictures. Definitely going on my must-make list!